Looking for Kids Violin Lessons in Singapore? Searching for kids violin classes? Choose the best violin teacher for your kids from top violin teachers in Singapore selected by teacher Janice. Start a trial lesson now! The first five years of a child's life are very important for the development of the child's brain. Children learn very fast during these early ages of their lives, hence giving them lots of love and nurture will develop trust and security in them which would eventually turn into confidence as they grow older. If your child shows an interest in learning violin or even reading musical notes, give him or her an opportunity to learn violin. 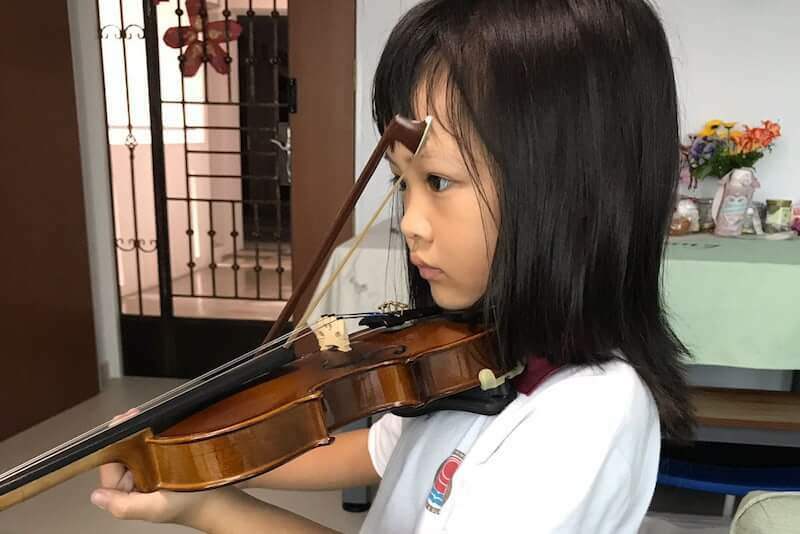 At Learn Violin Lessons, we provide kids violin lessons in Singapore to help your kids learn this beautiful instrument from the comfort of your own home. Should I let my child have a violin trial lesson? 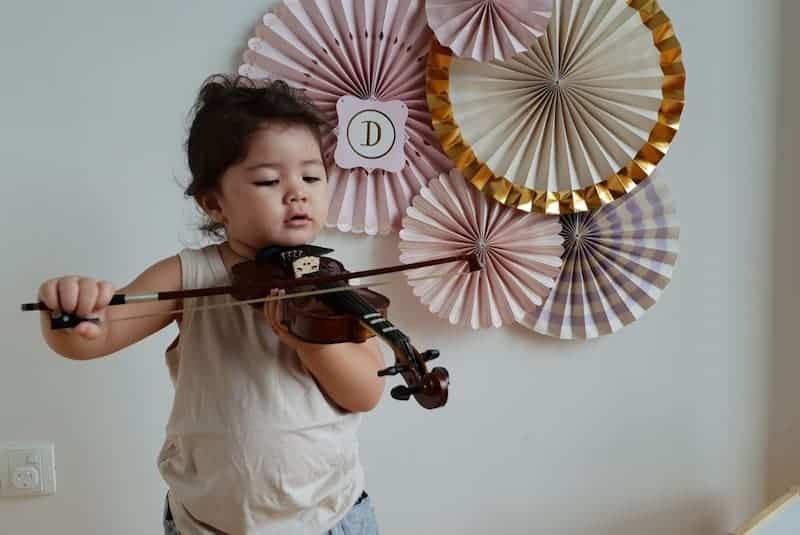 Every parent in Singapore or even in other countries in the world believes that their child could become a prodigy if they enrol their child to violin lesson or class at an early age. Kids violin lessons are the keys that help your child achieve incredible mastery of violin. So why not, let your child experience a violin class. But what is the right age to send your child to violin classes? All parents strive hard to provide their children with all the best opportunities as much as possible. Most parents are significantly aware of the benefits that music education brings to their kids. Over the years, studies have explored the numerous ways of how music lessons help in fostering brain development. This is also one of the effective means of building motor skills, assisting cognitive growth, and enhancing comprehension among kids. As mentioned in previous articles, there are many benefits to learning to play this instrument. But going back to the concern of most parents, they wonder when their children must start kids violin lessons. With all the overwhelming information available these days, parents become confused and unsure when to introduce violin to their kids especially the beginners. 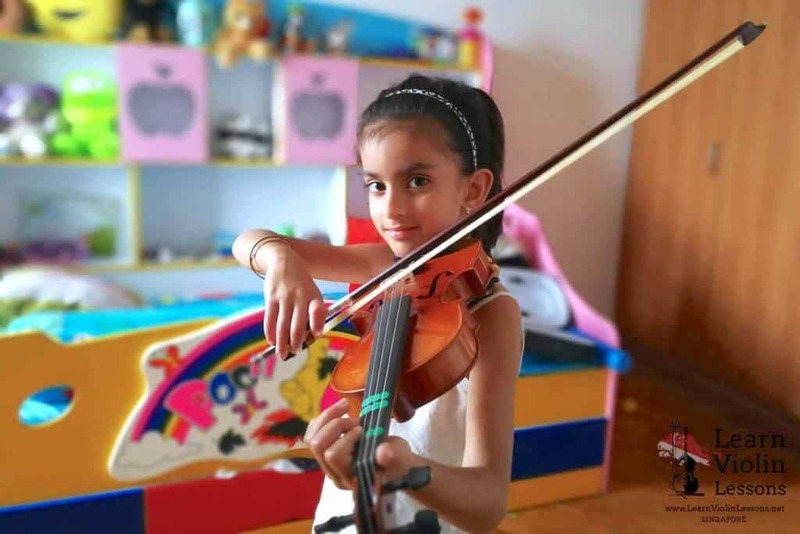 Some suggest starting at an early age is much better, while others keep on insisting that learning how to play the violin should begin before the age of 7. Let me make it simple for you; The best time for your child to practically start learning the violin is 3 years old and above. If you want your child to start earlier, you can do that, but you should not expect them to play a song within a few lessons. What you can do is to get an affordable kids violin for your child and let them explore it before the age of three, so when they start having kids violin classes at home they won’t feel strange to the instrument. How is your Child’s Attention Span and Patience? Parents have to note that attention spans tend to develop over time. While some kids can sustain focus at the age of 3, others may have proper attention span at the age of 5. Some kids struggle with attention for long years. But if a child’s interest is there, that’s half the battle. If your child is a late bloomer, then music can be a great tool to help him reign in this wandering mind. Does your kid have patience? Learning violin and attending children violin lessons require not just interest but patience as well. When taking these lessons, there are lots of things that the child need to learn so being patient is crucial when learning how to play the violin. 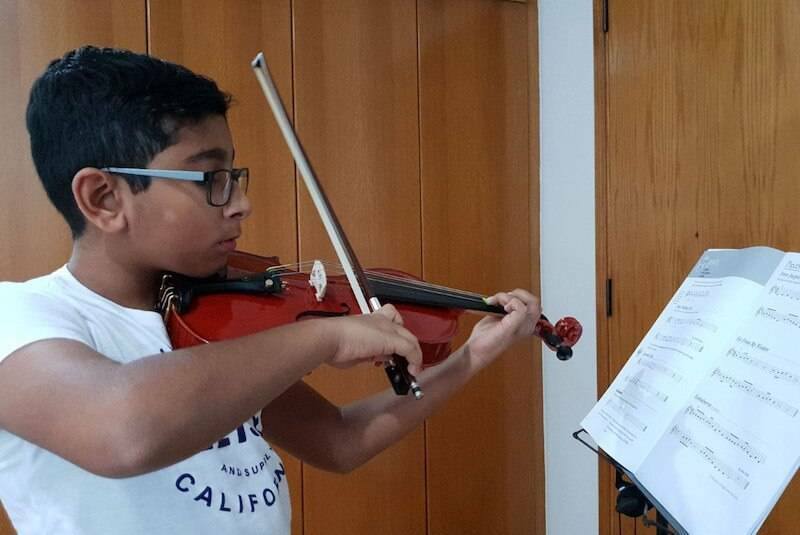 Kids need to learn many things one step at a time, and they also need to realize that becoming a talented and good violinist does not happen overnight. During the lessons, they also need to learn how to read music as well as learn the fundamentals of violin theory. Our teachers at Learn Violin Lessons have designed a well-planned Violin Teaching Program that allows beginner kids as well as advanced children to get a good command over the instrument. Most of our violin students are formed from kids and young children, this opportunity to work with small kids has given our violin teachers tremendous experience to deal with kids. So you shall rest assured that your children will learn from the best violin teachers in Singapore. When kids understand rhythm, beat and musical notes, they are in fact learning how to identify patterns, hence this will improve their academic skills. Violin for kids and toddlers is a perfect way of helping them get connected with music. How Are The Kids Violin Lessons Conducted? At LVL, we try our best to make sure the kids violin classes are fun and yet beneficial to our young little students. We are a team of dedicated teachers with lots of experience with kids, so we will make sure that our students would enjoy the lessons each time. 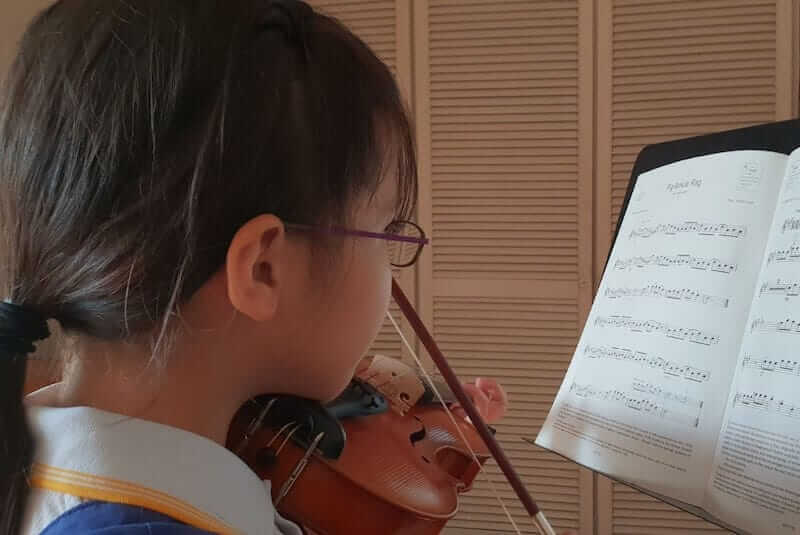 Once you contact teacher Janice to arrange for a private kids violin lesson, it would take you only an hour to settle down with a suitable teacher from our team for your child. Hence the process of finding a fun and an engaging teacher for your child is very simple and quick. You can start with a kids trial lesson first. Teacher Janice is the founder of LVL and your first point of contact. Unlike other websites, we do not charge for matching a suitable teacher for you. The lessons are fun and interesting The teacher is knd and helpful as she helps me whenever i need help. I really enjoyed my classes with Janice, she knows how to teach you step by step and her prices are reasonable. Thanks 🎻 . Lesson was Good , Mr Elgar is a patient teacher who teaches in a no stress environment making it easy to learn. It is really helpful to have such a service to connect with teachers directly. I had first emailed many schools for lessons for an adult beginner, and had got almost no replies. Having been learning with Janice has been very helpful to correct my errors and learn the basics properly from the ground up. She is patient and her lessons have been a good mix of theory and practice, strengthened through exam preparations. I also appreciate the flexibility of being able to arrange timings at mutual convenience, as my schedule is unpredictable – don’t think this would have been possible through a big-name school. I have been attending going to Janice for violin classes for months now and it’s been a great experience. She has amazing personality, while she is fun personality, always smiling, she is on point with learning, which is amazing combination for a teacher. I started as a complete beginner and she is very patient with me all the time, even when i miss classes and practicing due to crazy work at my office. I would totally recommend Janice as a teacher for beginners as well as advanced. Btw she has been playing violin for decades, hence when she plays, it’s extremely motivating. I have had around 6 lessons with Janice and it has been very helpful. In the past I had tried learning the violin by myself, on and off over 2 years or so, and made very little progress. As an adult learner with no prior musical training and blessed with poor body awareness, I do need plenty of guidance – and it’s great to be able to get that. Janice emphasizes a lot on having the right posture, hold, bowing, and on being relaxed. She goes to great lengths to fix my errors, hand-holding till things are right. There is plenty to unlearn if you didn’t start correctly. I also like the selection and order of her lessons and the pieces we play. Janice has initiated me into reading musical notation, which I had incorrectly presumed was very diffcult. This has made it possible for me to discover and learn new music to practise. Previously, Sze Meen had violin lessons in a well-known music school without much progress. Thereafter, we found teacher Janice, who is very patient and experienced. Under her guidance, Sze Meen has made good progress and became more motivated to learn. Teacher Janice makes the effort to update on Sze Meen’s progress after every lesson. I’m so glad to have found a good violin teacher for Sze Meen! For my boy who sort of wonder off at time, firm and caring Teacher Xiao Qing makes sure he gets back and focus on his pieces. It helps that Teacher Xiao Qing is a mother herself with a young child and knows how to handle them. Learning the violin with Janice has been nothing short of an amazing experience. Accommodating and patient, she adjusts the lesson pacing to suit each student, making it a joy for anyone to jump into learning the violin. She makes learning music theory easy and fun, even for a beginner. During the first conversation, she took the effort to understand my needs, goals and even my preferred location, before pairing me with a teacher. You can be certain that you will be in good hands throughout your journey with the violin! Janice is a helpful teacher and gave me a good start to learning the violin as an absolute beginner. Very patient when correcting techniques and conducts lessons that includes practical skills and music theory. Janice has been a very patient with my 4 year old daughter who is starting to enjoy her classes more. She is good with kids and is able to understand as well as adjust her teaching techniques as per their needs. It’s been a great experience learning violin under Janice’s guidance, a new and difficult instrument to pick up for me. She has been one of the best motivators. She is both a Friend and teacher to me. Superb tutor. Playing violin improves the child's physical and mental coordination. It helps in increasing attention span and enhancing memory skills. Violin helps to develop upper body strength, better posture & improved fine motor skills. Want your kid to become a great violinist? We have no hidden costs, not even for teacher selection, we work according to your requirements.